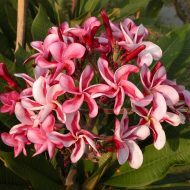 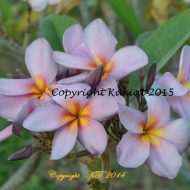 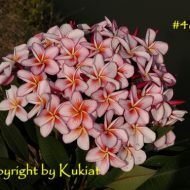 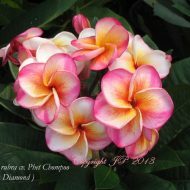 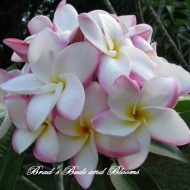 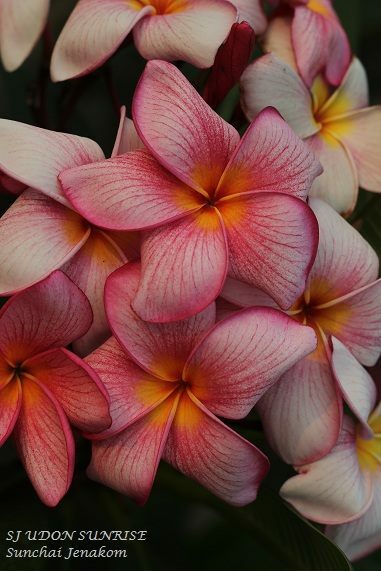 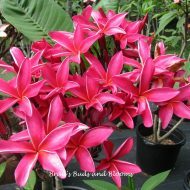 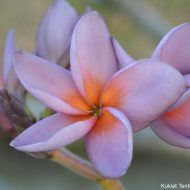 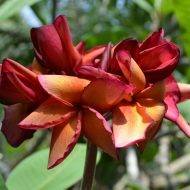 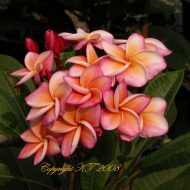 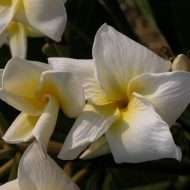 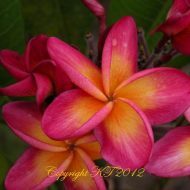 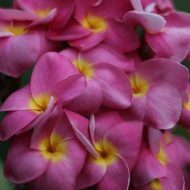 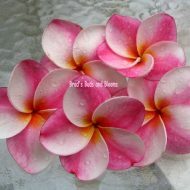 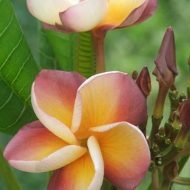 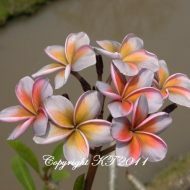 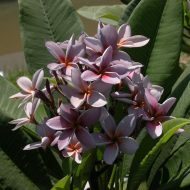 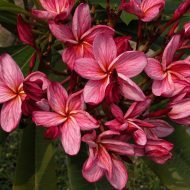 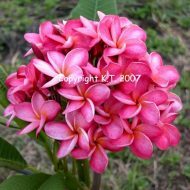 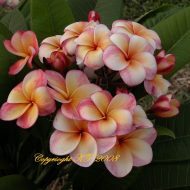 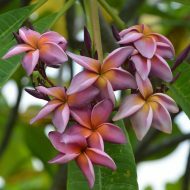 Home	> Shop	> Plumeria	> From Thailand	> Udorn Sunrise- SALE! 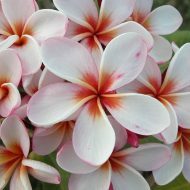 This is a lovely 3-3.5″ flower, light pink with darker, prominent veins. 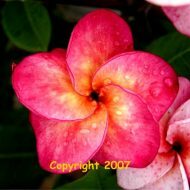 The center has contrasting colors with deep orange in the throat, ringed with a wide circle of gold. 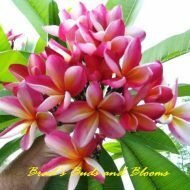 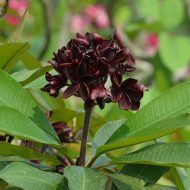 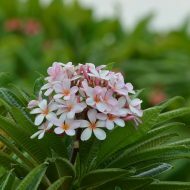 The blossoms form generous inflorescences and have a sweet floral fragrance. 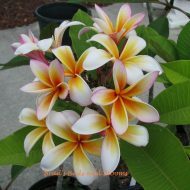 Single Tipped, ROOTED Plants—– NOT Grafted, 12″-14″ tall measured from the soil line.